Experience life in Sarasota 8217;s vibrant downtown. With one terrace off the dining room and the 2nd terrace off the living room you have the benefit of two vantage points to watch the city and bayfront awaken. This split plan unit features beautiful wood flooring in the living room and the 2 bedrooms. Upgraded bathrooms, extra custom closets, built-in wine cooler, Plantation shutters, granite countertops and breakfast bar further enhance this residence. Overlooking the pool, you can enjoy this peaceful setting. The building offers state of the art amenities which include the heated pool and spa, gas grill, herb garden, fitness center, steam rooms, guest suite, secured garage, climate controlled extra storage, 24-hour concierge service plus community, media and conference/business rooms and water softener and filtration in the entire building. The maintenance fee covers internet access and basic cable. A secure parking space is included, and additional spaces are available in the building for monthly rental. 1350 Main is a pet friendly building allowing up to 2 pets of any size. Be in the center of it all and live life to its fullest! You will be a short stroll away from restaurants, shops and the great arts and culture scene that Sarasota offers while still being just a short drive across the bridge to St. Armand’s Circle, Lido beach and Longboat Key. Please, send me more information on this property: MLS# A4427507 – $655,000 – 1350 Main St #1201, Sarasota, FL 34236. 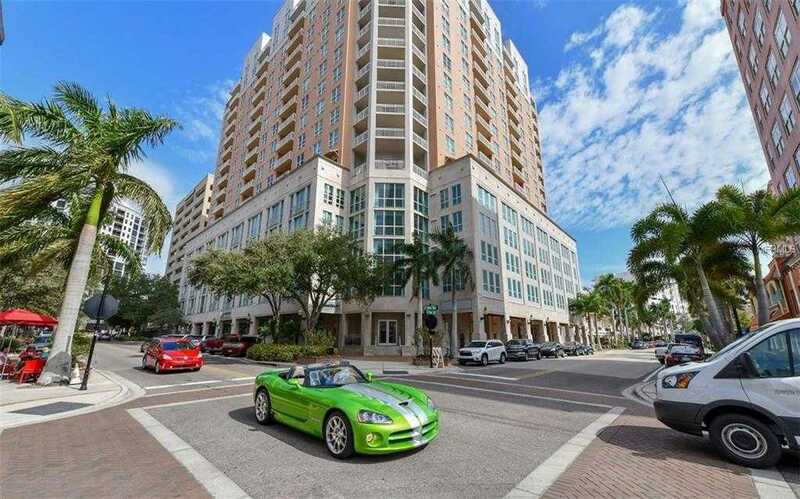 I would like to schedule a showing appointment for this property: MLS# A4427507 – $655,000 – 1350 Main St #1201, Sarasota, FL 34236.